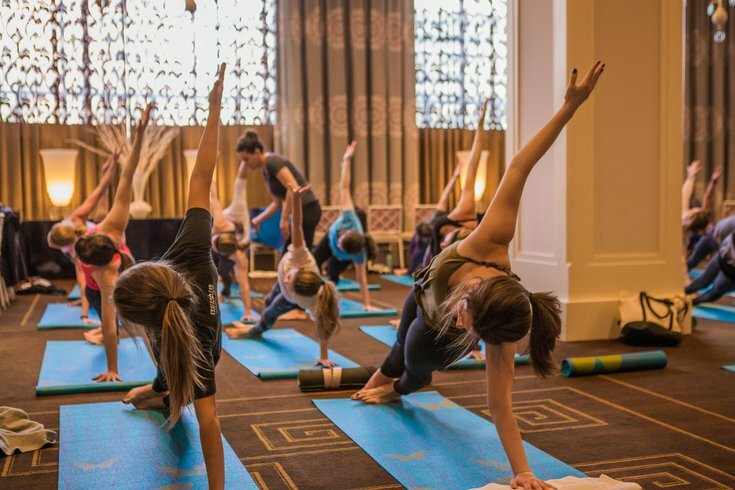 Hotel Monaco will transform into a fitness studio for a day. For the fifth year, Hotel Monaco in Old City will host Resolution Rx to benefit Back On My Feet. The nonprofit uses running to help homeless individuals change the way they see themselves. At the hotel on Sunday, Feb. 10, there will be fitness classes run by local studios and a wellness expo. A ticket to each class is $7, which will go to Back On My Feet. Along with entry, the donation includes complimentary healthy refreshments and access to a relaxation lounge. Choose from core-focused, dance, HIIT, pilates, barre and yoga workouts. The studios offering classes are Three Queens Yoga, allongée, Boss Chick Dance Workout, City Fitness, Real Girl Pilates and SerenaFit Virtual Training Studio (in-person). At the wellness expo, businesses like Cryo Philadelphia, Anthology Wellness CBD and Summit Acupuncture will offer samples and discounted services for attendees. If you'd like to help out Back On My Feet even more, you can also sign up for the Revel Ride Kick-Off the day before Resolution Rx. The cost for the indoor spinning class is $25.